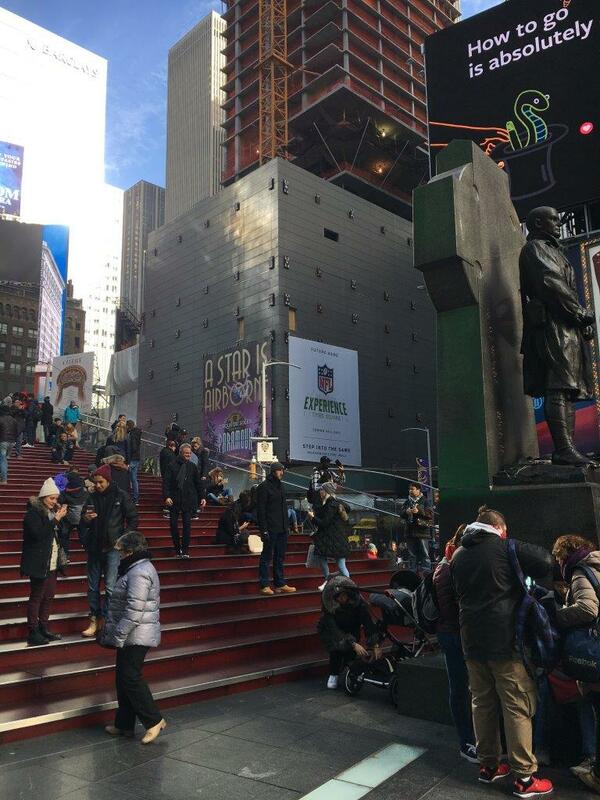 Times Square's newest spectacular has arrived. And it wowed onlookers in the bowtie from the second the curtain dropped. 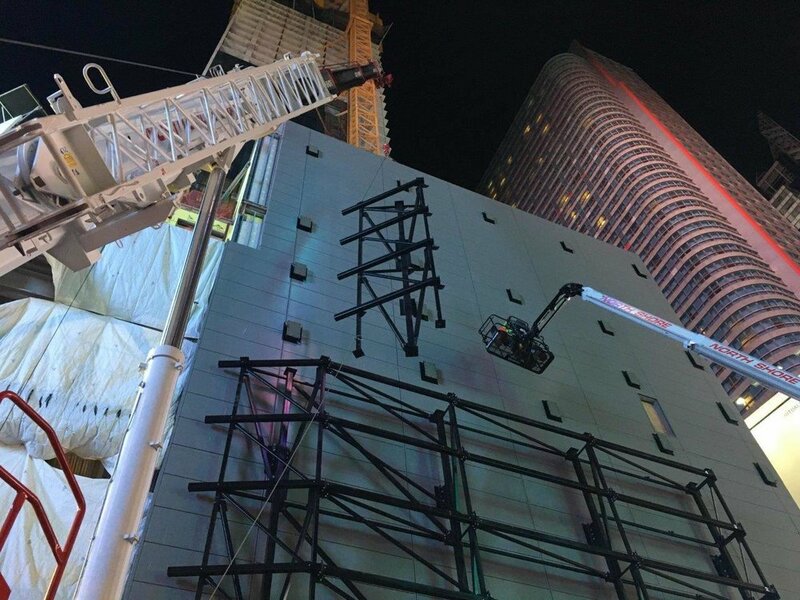 The monster LED screen manufactured by SNA Displays is now the highest-resolution display in the history of Times Square. that's right. 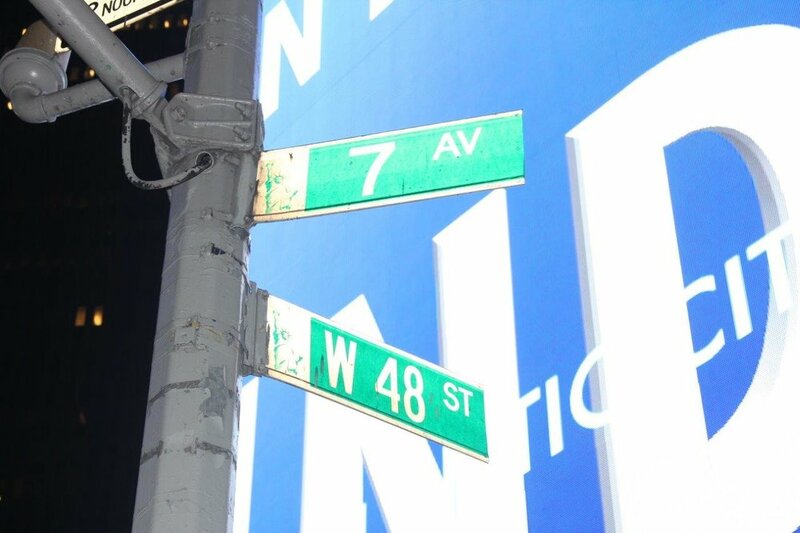 tHE HIGHEST-RESOLUTION DISPLAY ever IN TIMES SQUARE. 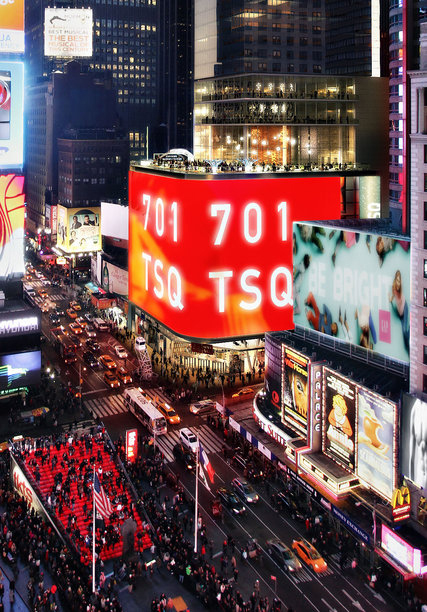 20 Times Square is a 40-story, 350,000-square-foot development comprised of a 452-room Marriott Edition hotel, 76,000 square feet of retail, 40,000 square feet of food and beverage space, and a 17,000-square-foot LED video display board manufactured by Sansi North America (SNA) Displays. 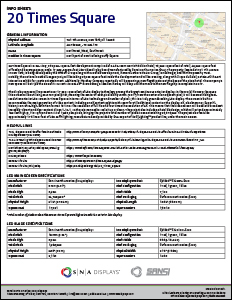 The property, located at 701 7th Avenue in New York, is being developed by the Witkoff Group along with Maefield Development, Howard Lorber’s Vector Group, Ian Schrager, and Winthrop Realty Trust. Notably, the National Football League (NFL) will be taking 25,000 square feet inside the development and will be creating, along with Cirque du Soleil, a state-of-the-art interactive exhibit for sports entertainment. Additionally, Hershey Company reportedly will be opening a new flagship store at the base of the site’s hotel. The company’s new space will be triple the size of its current store at 48th & Broadway, a location Hersey will keep until the move to the new flagship is complete in 2017. 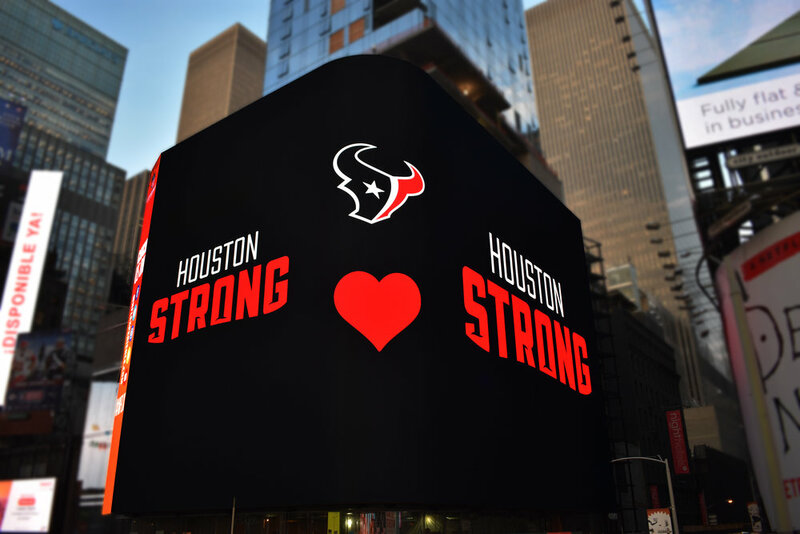 The display canvas will represent over 17,000 square feet of LED display technology, among the largest continuous exterior displays in the world. 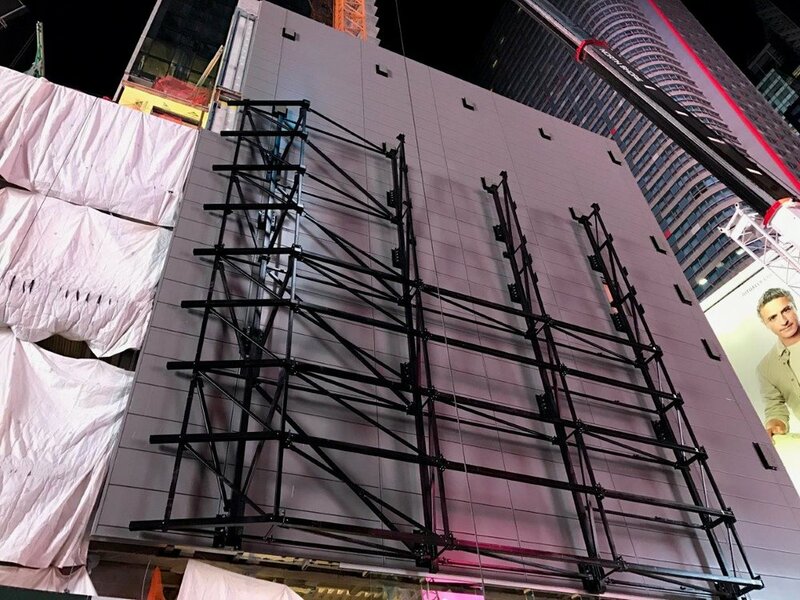 However, because this screen will be utilizing an 8 mm pixel pitch, meaning the center of each pixel is only 8 mm (0.31”) from the center of an adjacent pixel, it will become the highest-resolution exterior LED screen in Times Square... in terms of LED technology and number of pixels, a truly groundbreaking LED display. The screen is built to accommodate the next generation of video content, including an 8K content palette with room for still additional content on the display. 8K, also known as Super Hi-Vision, is an ultra-high-definition format 16 times the resolution of full HD and four times the resolution of 4K. This means that the video screen will be able to broadcast incredibly vibrant and clear content driven 1-to-1, so there is no need to scale it up or down. 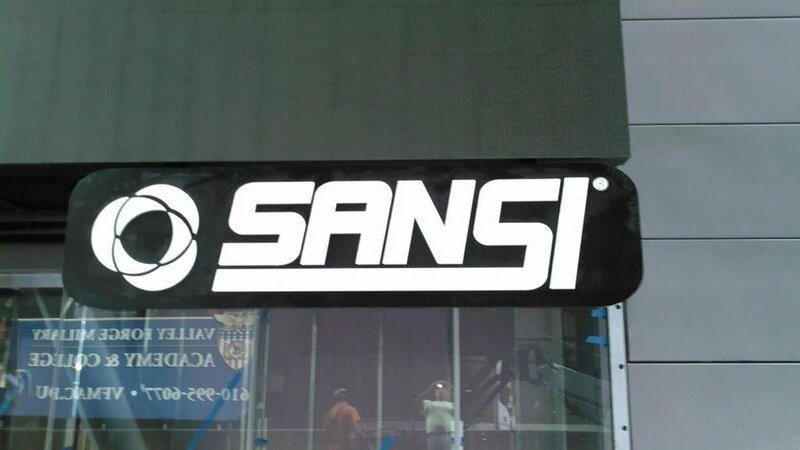 The project also includes a hotel blade sign, which will extend approximately 100 feet high (2,118 sq ft) and consist of 1,968,000 pixels, bringing the project’s total number of pixels to an astonishing 26,676,000.